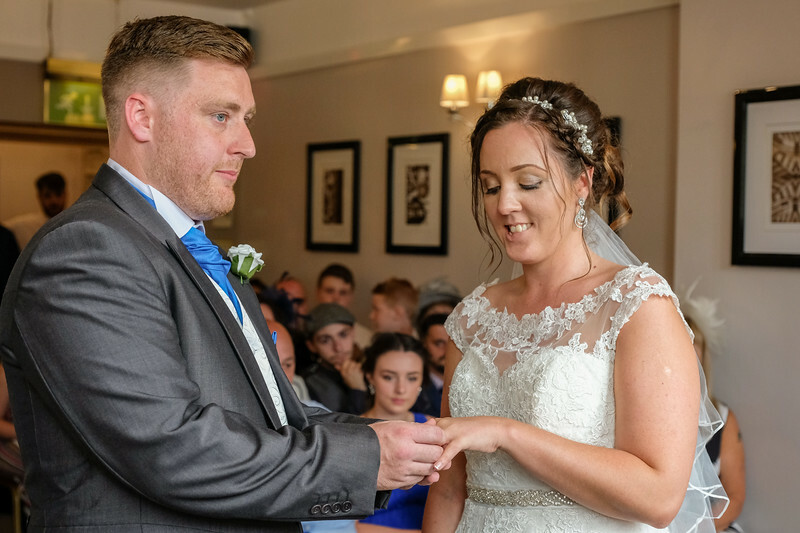 Carly and Liam got married in Rochdale Town Hall with a reception at The Royal Toby Hotel. 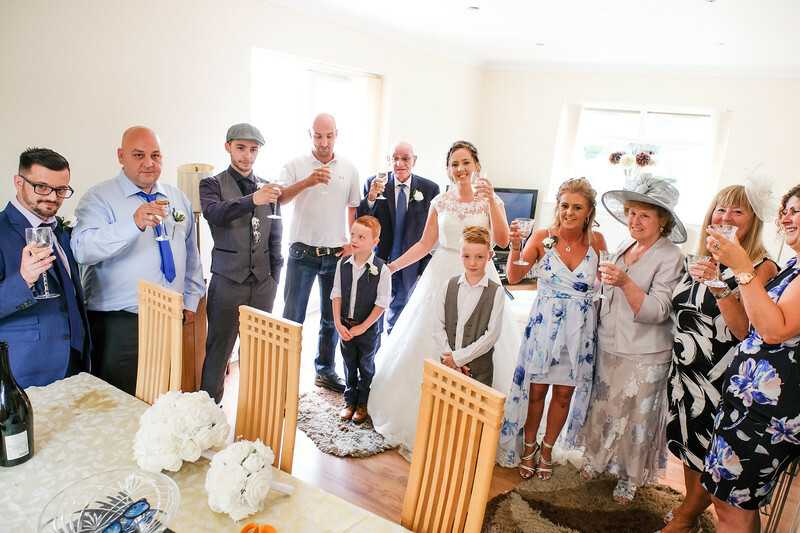 A fabulous day with family and friends on a hot sunny day. The bride and family members getting ready before the wedding. 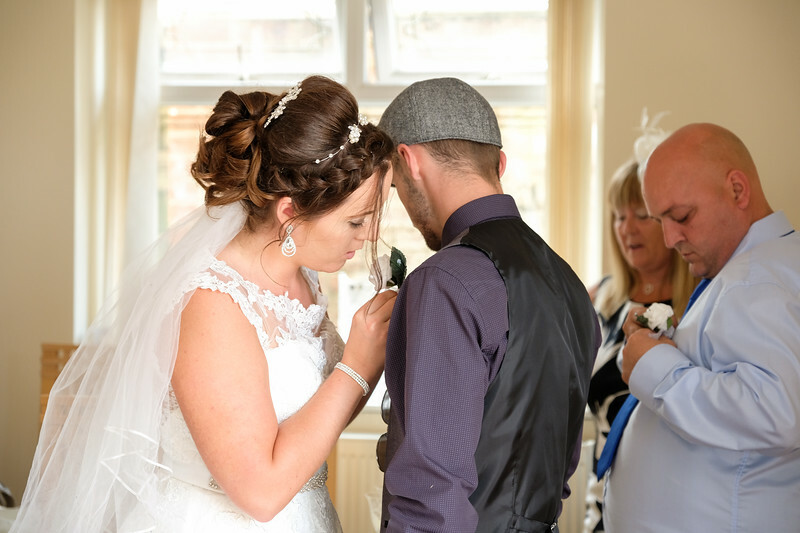 The Bride helping her brother with his lapel flower. 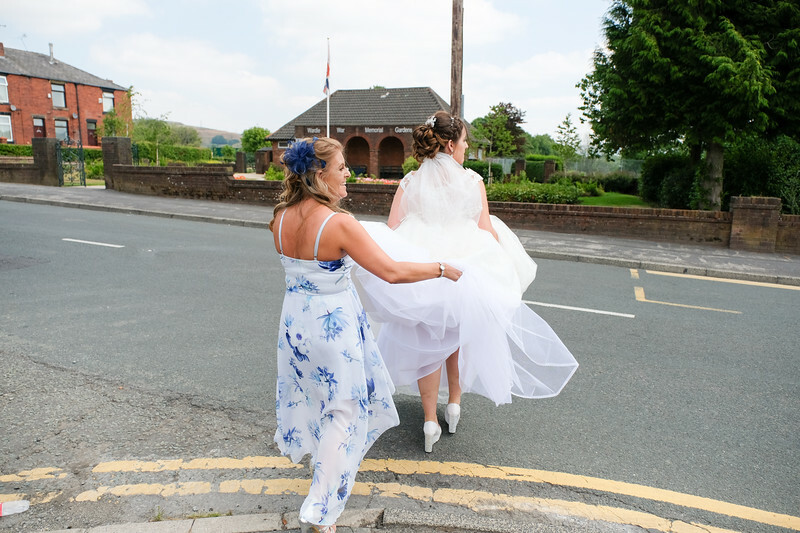 The Mother of the Bride helps her cross the road by holding the dress. 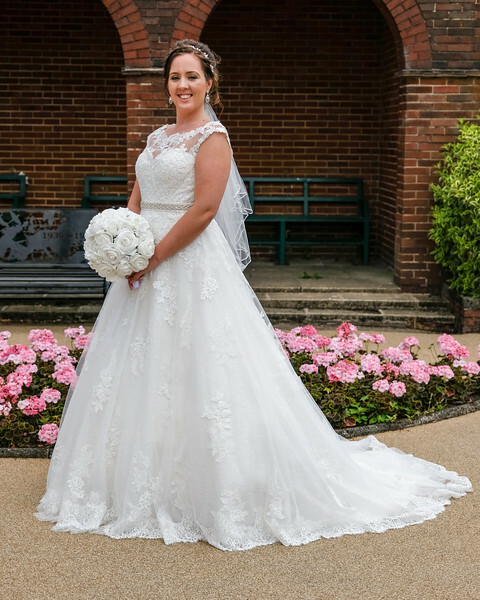 The Bride posing for the camera with her bouquet and wedding dress. 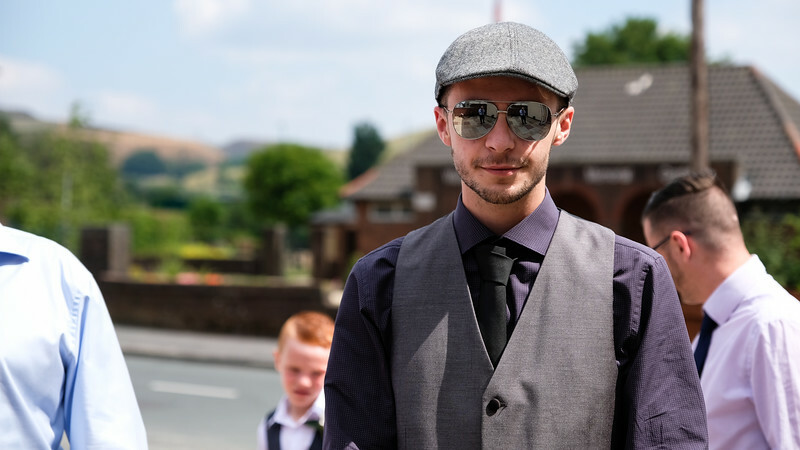 The brother of the bride before the wedding with his sun glasses and cap on. 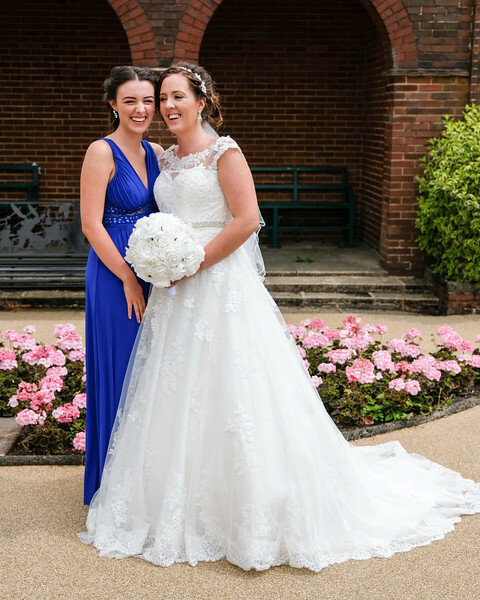 Bride and Bridesmaid posing for a photo before the wedding. 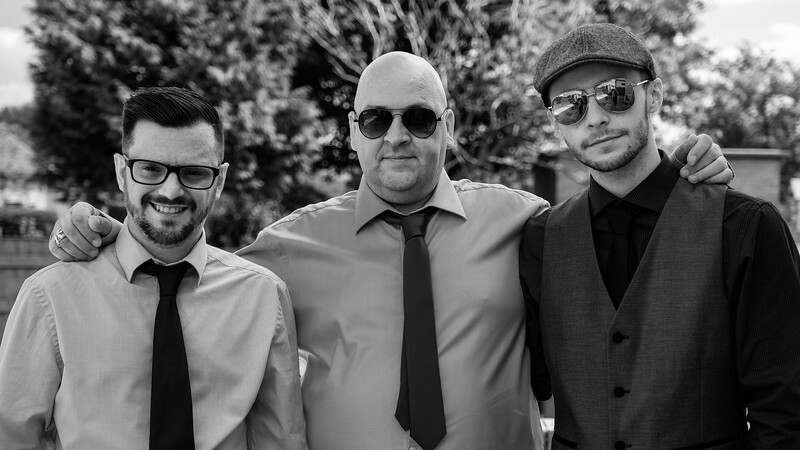 Mono image of the father of the bride and his sons before the wedding. 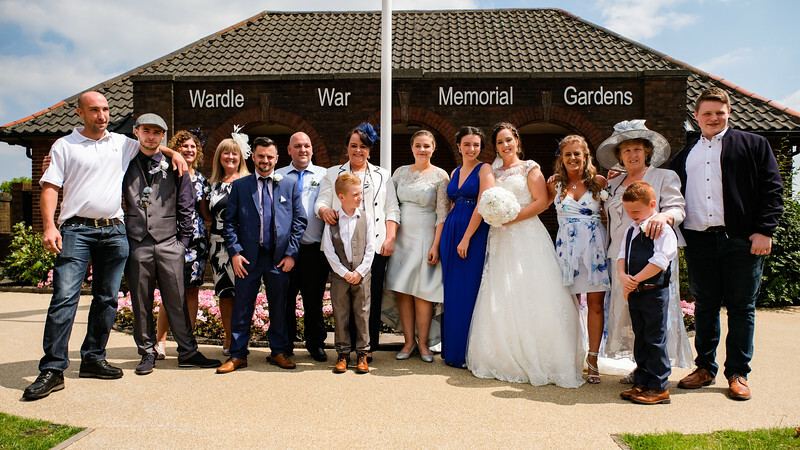 Family photo just before the wedding at Wardle War Memorial Gardens. 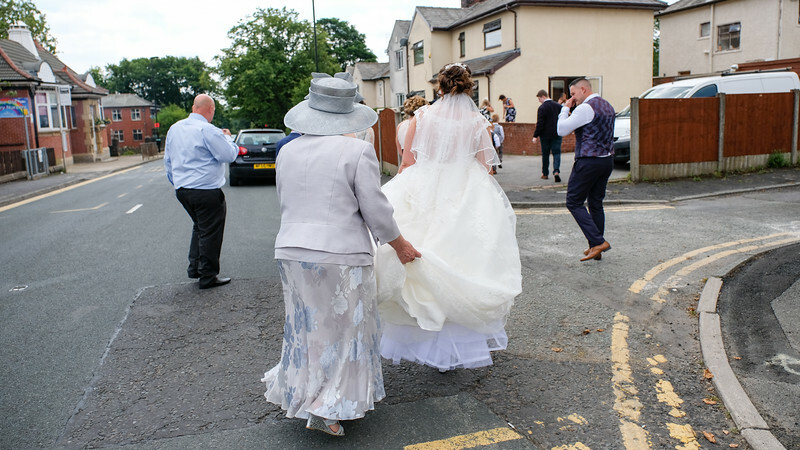 Grandma helping the Bride with her dress to cross the road. 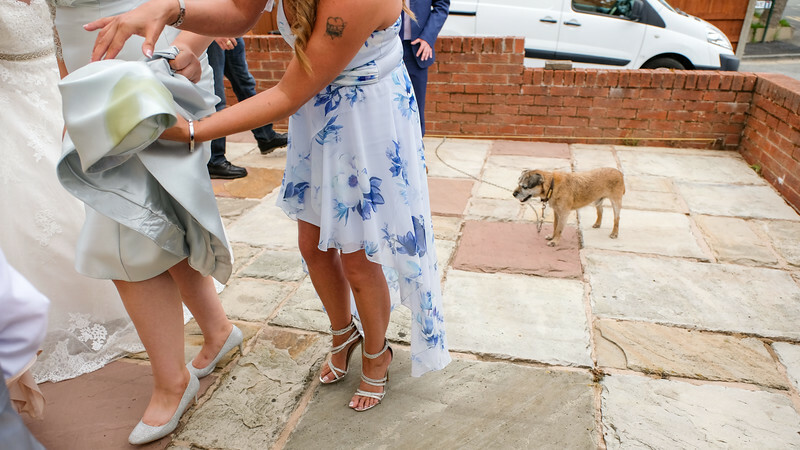 Rambo is a naughty dog when he wee's on a guest dress ! 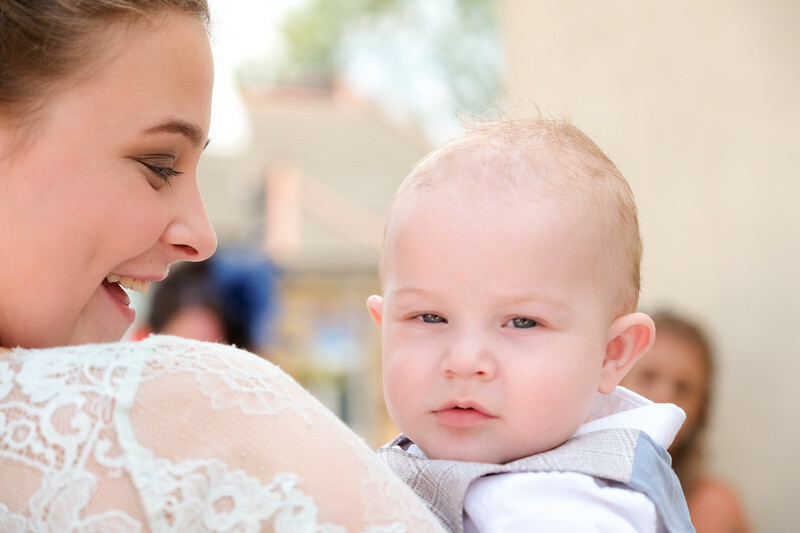 A baby held by a guest at the wedding. Wedding Group Photo of the brides family before the wedding having a toast. 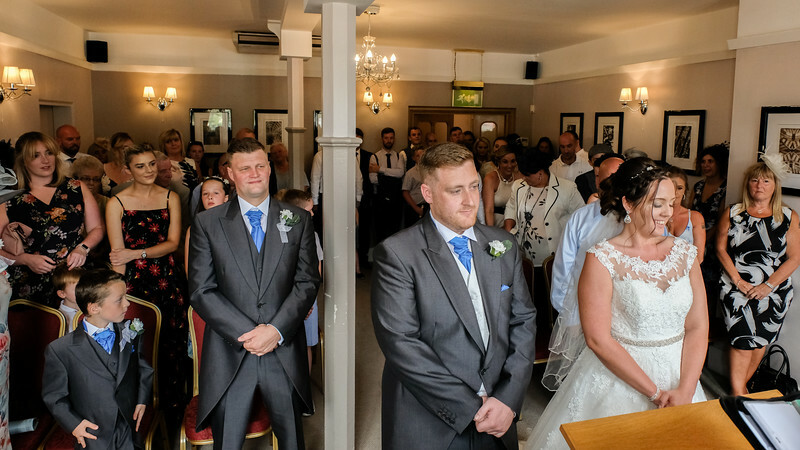 The wedding vows at The Roche Suite , Rochdale Town Hall. 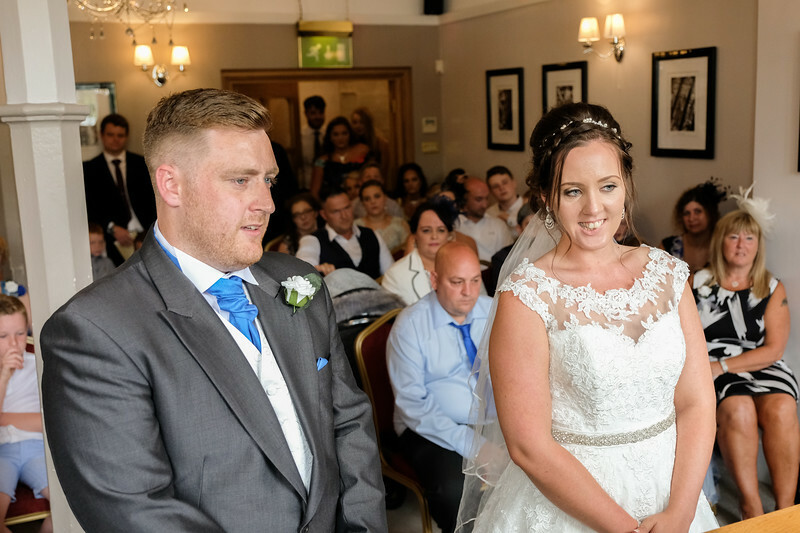 The bride and groom taking their vows at Rochdale Town Hall. Father giving his daughter away. 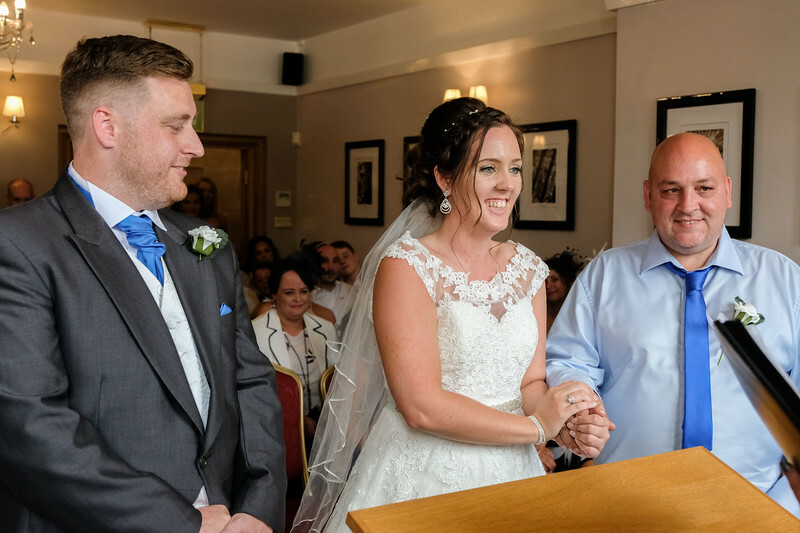 A bride smiling as she holds her father's hand at her wedding. 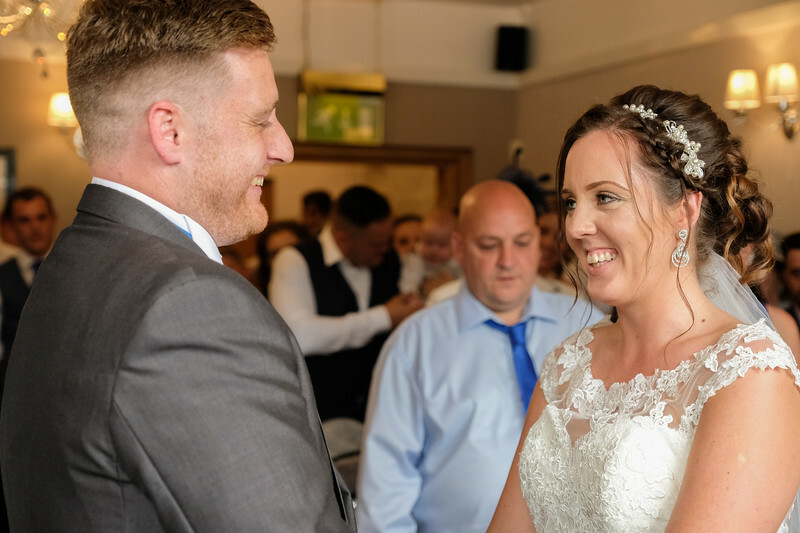 Wedding Portrait of the bride and groom getting married in Rochdale Town Hall. 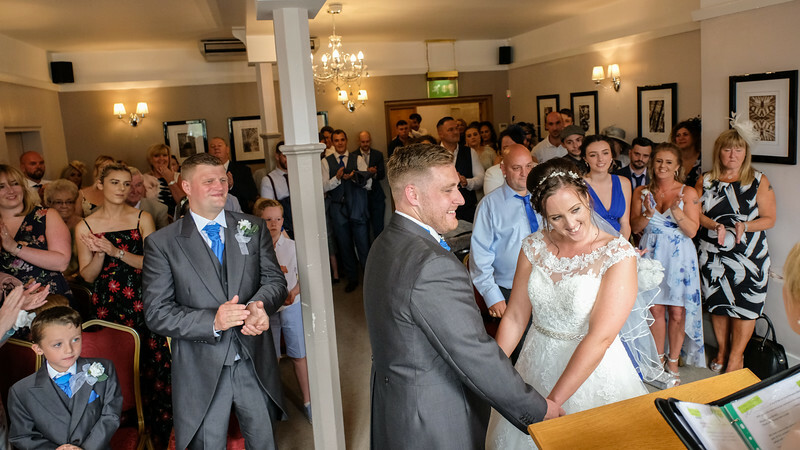 Wide view of The Roche Suite as a bride and groom get married. 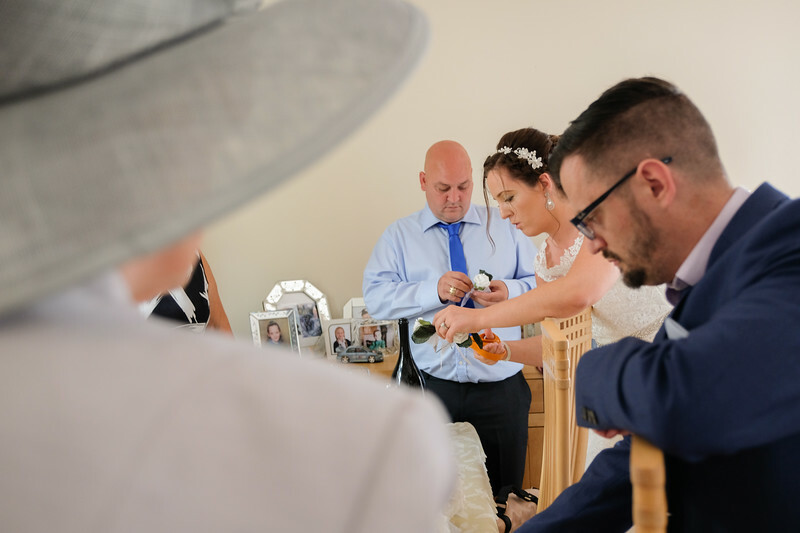 Sliding the wedding ring on. 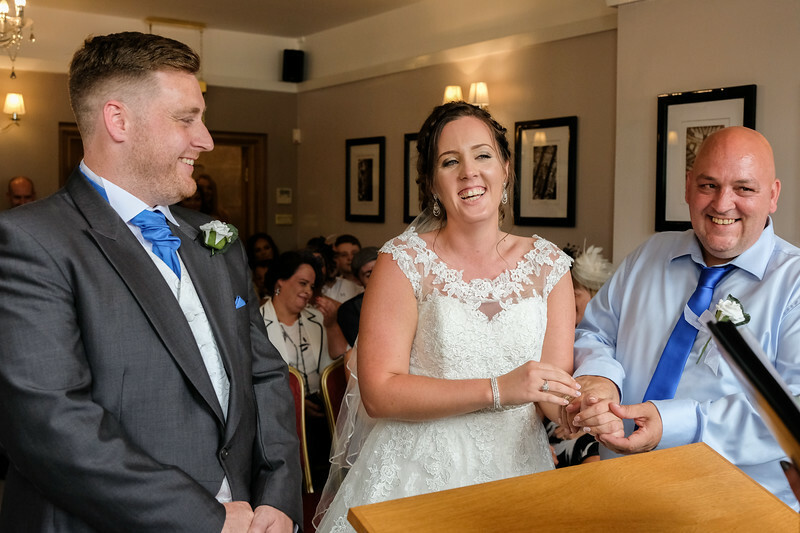 Sliding the wedding ring on the finger of the bride. 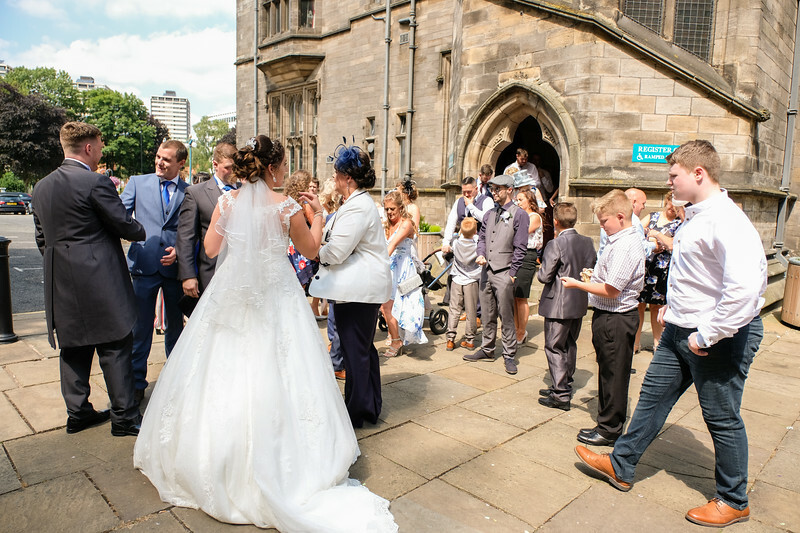 The bride and groom outside Rochdale Town Hall after taking their wedding vows. 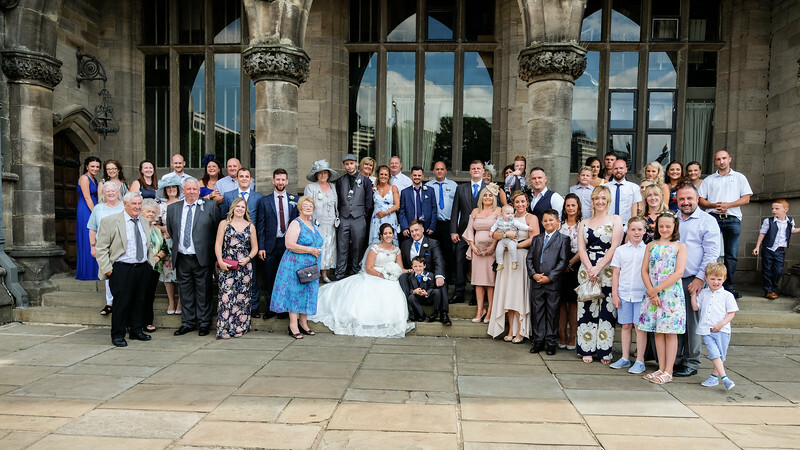 A Family wedding photo outside the roche suite at Rochdale town Hall. 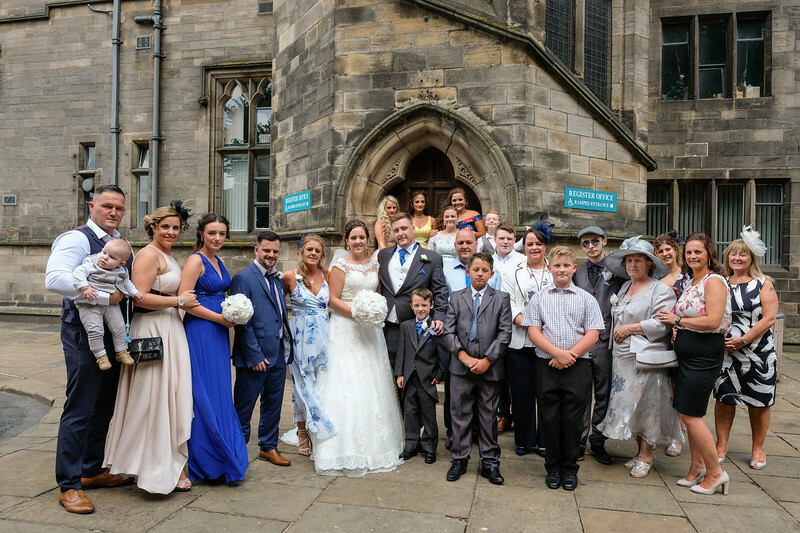 A Formal Wedding Family photograph outside Rochdale Town Hall . 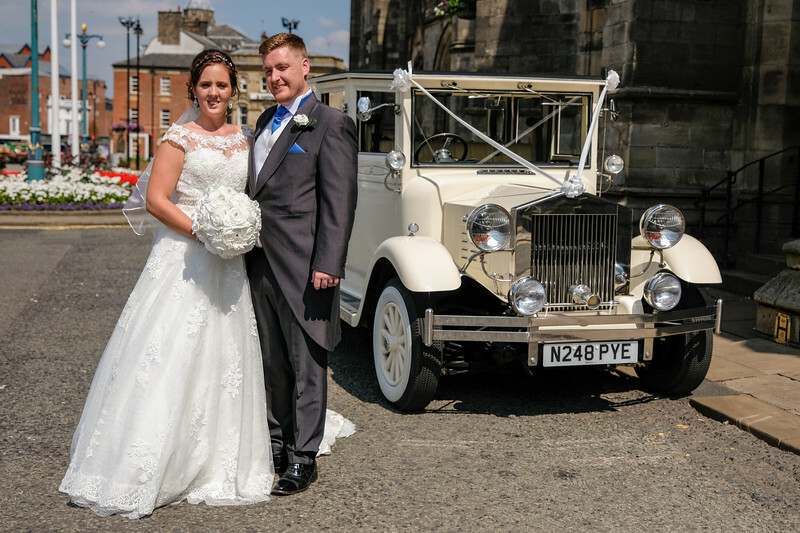 Bride and Groom posing with a classic Car outside Rochdale Town Hall.